Looking ahead to autocross on June 21st, here's the list of pre-registered drivers that will be in the same classes as our Nixon Motor Sports cars in GS and ES. 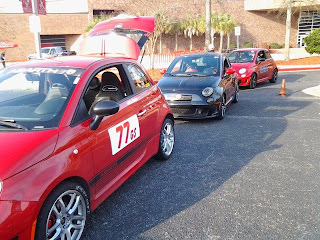 In G Street, it's very simple, there's only our FIAT Abarth entered for GS, Novice GS, or Ladies GS, so until some other drivers enter, it might be another first place finish! 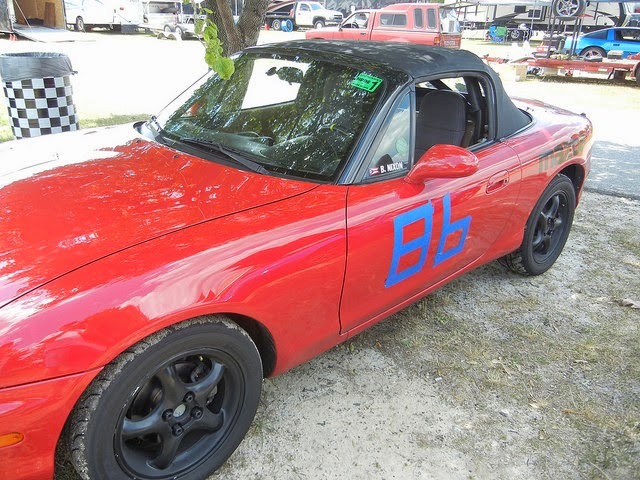 Over in E Street, there are 5 different drivers and with 3 Miatas and 2 Toyota MR2s, it should be a fun day of seeing who can get the power down on the pavement and get through the cones the fastest. Normally we'd expect the Novice class drivers to be less experienced and slower, but then again maybe they are faster! Also, we'll compare overall Raw times and the modified PAX times to see how we all do, so there's going to be some trash talking going on, and we'll just see who comes out on top with the fastest in class; fastest raw time; and fastest PAX time.